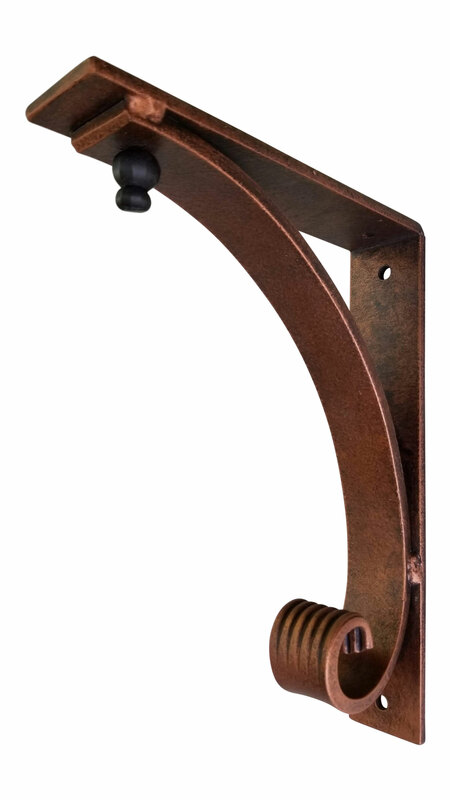 Looking for something unique, decorative and heavy duty in a wall mounted steel shelf, counter or mantel bracket? 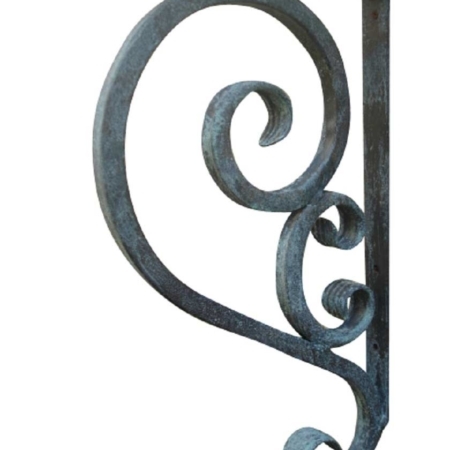 Don’t overlook this beautifully handcrafted and hand-finished metal corbel which also makes a great architectural feature for interior or exterior use. 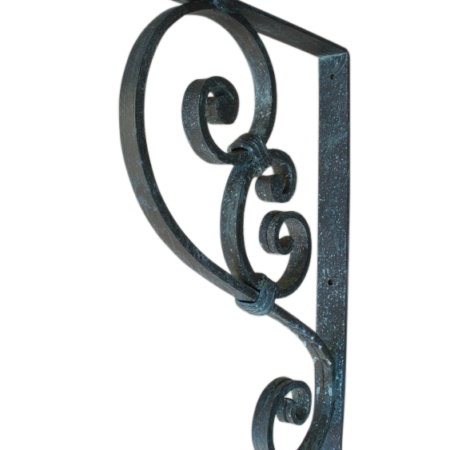 This Shelf Bracket Decorative Metal for Wrought Iron Support for counters, & mantels is ideal. Heavy Duty Unique & Decorative Wall Mounted Steel Shelf, Counter & Mantel Bracket is so beautiful and expresses quality and craftsmanship. 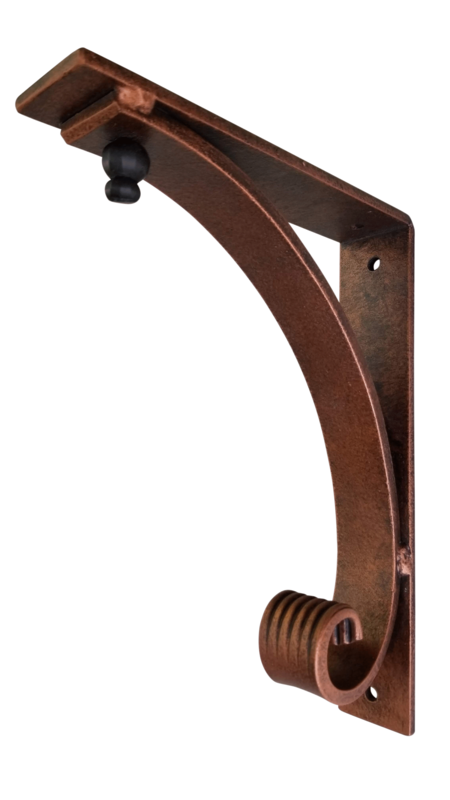 We are so excited to be able to offer this NEW product, as of Fall 2018, to our creative line of heavy-duty iron angle brackets. Somethings are just hard to describe. Trying to describe to someone a beautiful sight that you saw on your vacation may not come across that well. But, if you show them a picture of that beautiful sight you are able to bring them closer to understanding what you saw in person. 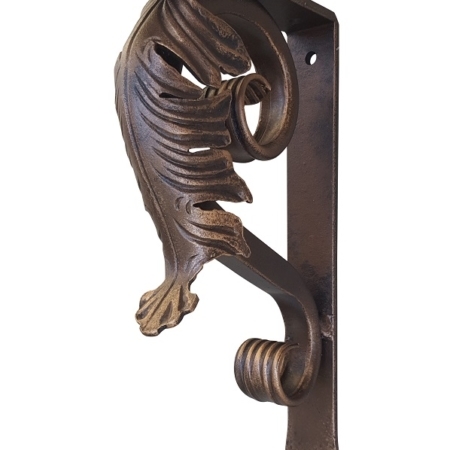 Trying to explain this incredible iron corbel without showing you a picture would be almost impossible. 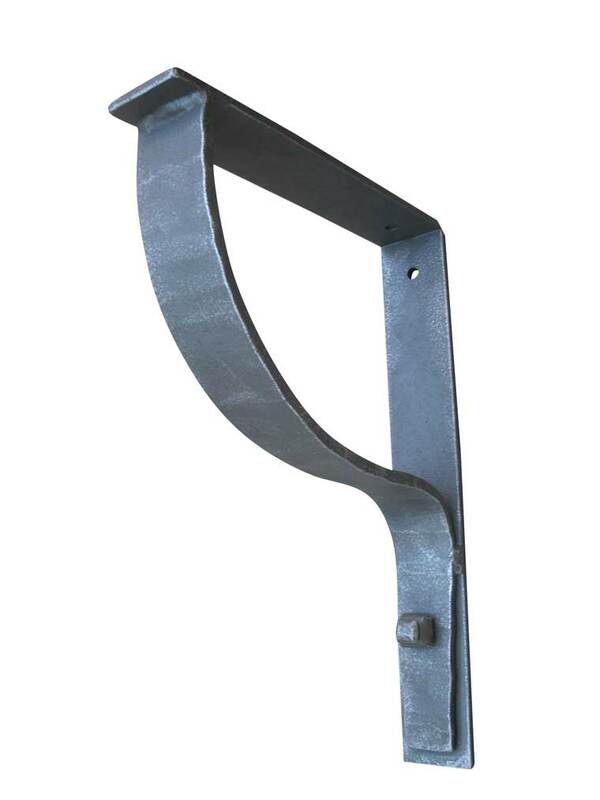 So, thank goodness for photos that relate the quality and craftsmanship of this bracket for shelving. But, even with the photos, it is nothing like holding this metal wall bracket in your hand. Imagine holding 6 pounds in your hands. Well, that is what this bracket weighs. Yes, it is heavy, therefore, heavy-duty and ready for you to place your order today. 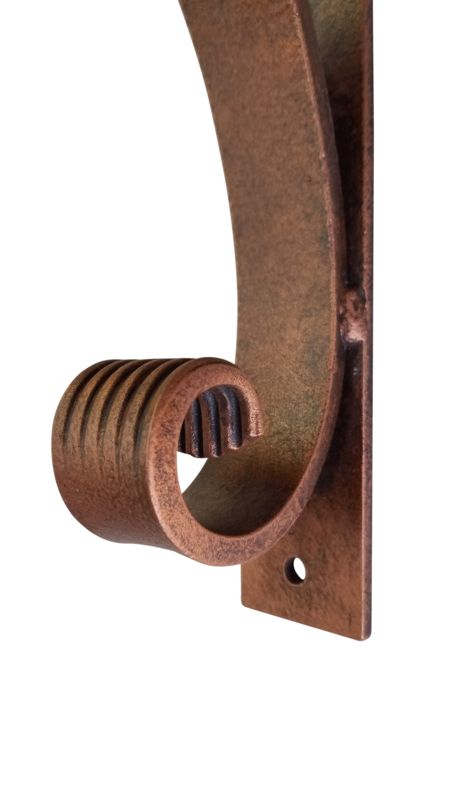 As shown here in our Old Copper Finish this shelf corbel comes with a beautiful decorative screw in the top front of the angle bracket. 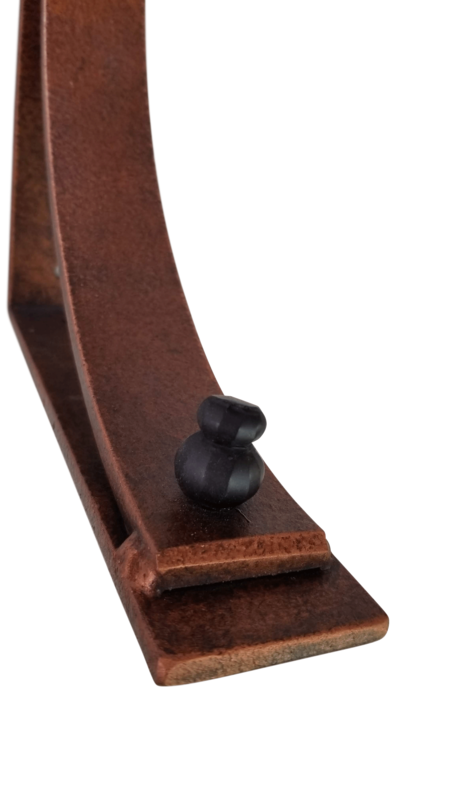 Because this decorative screw is finished in black it is complementing the Old Copper finish of this countertop corbel. We like to set our customers at ease, if this is your first time ordering from us, with a testimony from a customer. Crystal H. from Union, S.C. wrote, “Oh hey! We love the brackets-haven’t got them installed…We hope to have them installed soon! They are gorgeous and thanks…”. 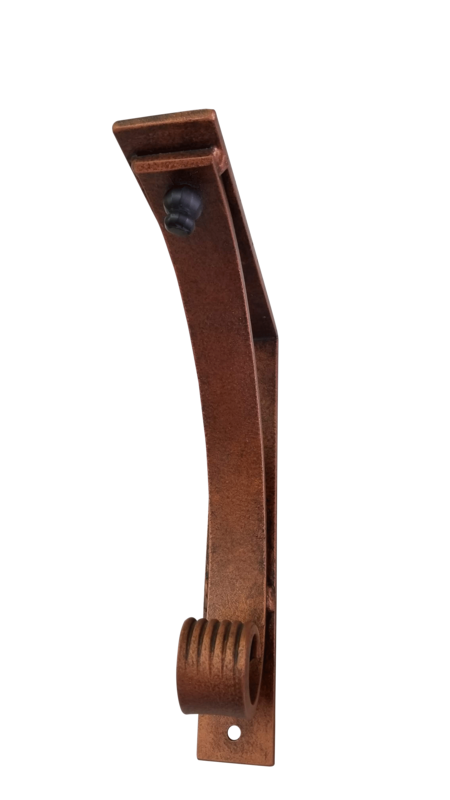 With that, let’s get to some of the particulars of this Gorgeous shelf bracket decorative metal for heavy-duty wrought iron support. Handcrafted-So if you are concerned about size-We welcome Shelf Bracket ADJUSTMENTS! 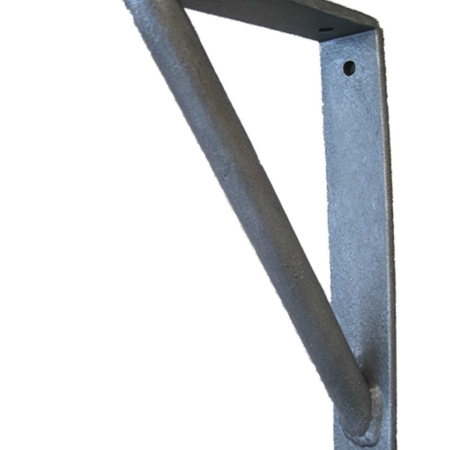 When ordering metal brackets, the top support bar should be 1-2 inches shorter, than the depth of the surface it is supporting, for best support and appearance. As rule-most surfaces need 1 bracket per every 24-30 inches for proper support. Check with your contractor on your situation.